What interests me most when I travel is the people I meet and their relationship to each other, the place they live, and to history. 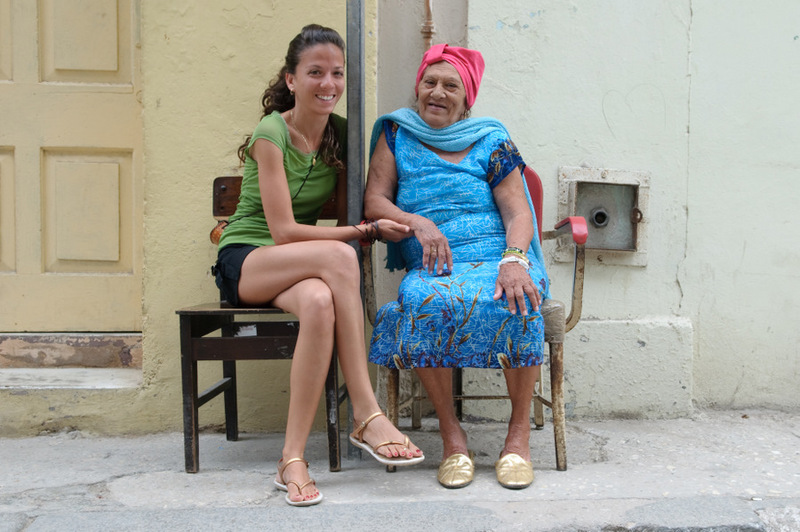 I therefore especially like this shot of grandmother and granddaughter I met in Havana. When I spoke to them, the granddaughter seemed so proud to tell me that this was her grandmother, and the grandmother seemed so proud to tell me this was her granddaughter. I hope that this sentiment can be seen in the photo. If so, this photograph should warm the hearts of grandparents and grandchildren anywhere in the world. My custom, after taking photos like this, is to have large prints made and take them back for the people in the photos on my next visit. I made a note of this location in Havana I took this shot and for sure I will be taking a print back with me.